Expectations were sky-high when P. Chidambaram took over as Union home minister in November ’08 against the dark backdrop of 26/11 and Shivraj Patil’s resignation. But the goodwill that greeted the appointment then, which he strove to build on with his proactivism, has dissipated now with the home ministry finding itself at the heart of several controversies and questionable decisions which have run counter to the Congress party line, causing much consternation in the Manmohan Singh government. 1. The Pakistan Bungle: Was G.K. Pillai speaking on his own? 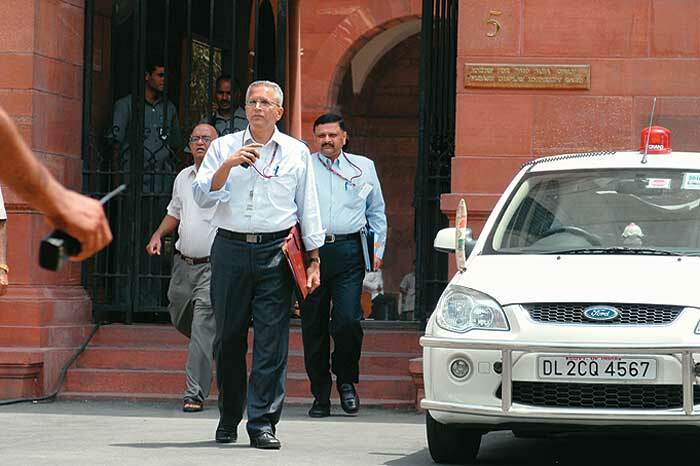 Union home secretary G.K. Pillai has to an extent always been open and accessible to the media. In fact, it’s his comments at an interaction with the Indian Express staff last week that sparked off the raging row between the home and external affairs ministries. In his pow-wow, Pillai accused Pakistan’s isi of being “completely involved” in the 26/11 Mumbai terror attacks. However, it is not the content but the interview’s timing, splashed on the newspaper’s front page on the eve of foreign minister S.M. Krishna’s visit to Islamabad, that irked many on both sides of the border. The pressure on the home secretary has increased since Krishna’s dialogue with his Pakistani counterpart, S.M. Qureshi, ended without yielding any result. Most people involved in the talks now blame Pillai for bringing the Indo-Pak dialogue process to a dead-end—because blaming the isi in a blanket way amounted to accusing the Pakistani military establishment and, thereby, limited the scope of progress in the talks. Even Krishna, at his diplomatic best, later acknowledged that the home secretary’s remarks were “ill-timed”. But why did a seasoned bureaucrat like Pillai make these remarks? Sources close to him say the remarks were part of a lengthy interaction with journalists of the paper. But it was scheduled to be published only after Krishna’s visit. However, the newspaper has indicated that Pillai was well aware of the fact that part of his interview, especially the section including his comments about the ISI, was being carried as a news item on the eve of the foreign minister’s visit. Could Pillai have made the statement suo motu? Many believe he could not have done it without clearance from P. Chidambaram. As it is, 2-3 days before this statement of his hit the headlines, there were media reports, perhaps leaked by the home ministry, on the revelations of David Coleman Headley speaking of the ISI. So was Pillai’s statement only the culmination of a build-up before the talks? At the core of Operation Greenhunt (Chidambaram denies it even exists) are the CRPF jawans. Last year, 70 of them died in various internal security duties. It’s only July, and 123 are already dead this year. PC had offered his resignation after the Chintalnar massacre in Chhattisgarh where the CRPF lost 76 jawans (April 6), but it wasn’t accepted. The home minister still came under fire from various quarters, including from Congressmen. Incredibly, it was left to the main opposition party, the BJP, to bail him out in Parliament. Since then, Chidambaram and his ministry seem to have lost the plot vis-a-vis the Maoist threat. Be it West Bengal, Chhattisgarh or Orissa, those combating “India’s gravest internal security threat” are now easy targets, and it’s become obvious the forces are fighting sans key equipment, weapons and training. 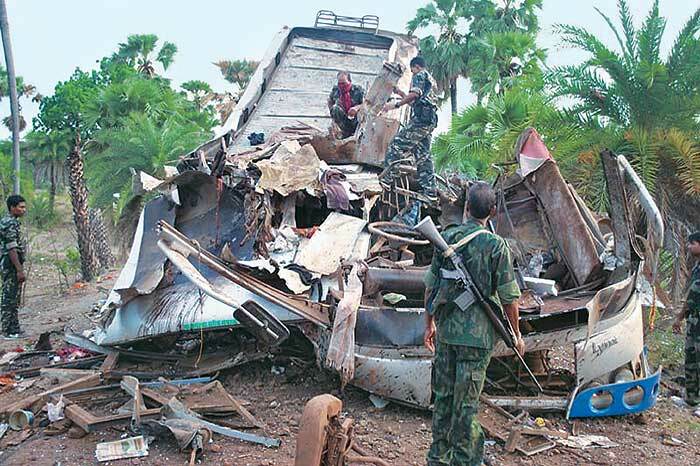 Soon after Chintalnar, a batch of 26 CRPF jawans was killed on June 29 in neighbouring Narayanpur district. Till now, PC has employed the hardline strategy (there’s a debate on about tackling Maoism as solely a law and order problem without showing a human face and bringing in development into affected areas) although many in the Congress feel it will be counter-productive. The E.N. Ram Mohan report on the Chintalnar massacre points out that the CRPF personnel had not taken even the basic measures to secure themselves. In fact, it says the camp was just waiting to be over-run. Had the home ministry demanded accountability from the top commanders, the massacre could have been prevented. There’s also the legitimate issues of the CRPF cadre officers, the lack of benefits to personnel, the deficiencies in training and equipment needs. In fact, a retired paramilitary officers association met Rahul Gandhi on July 6 to highlight their concerns. On May 25, 2010, 23-year-old Abdul Samad was arrested at Mangalore’s Bajpe airport, having just alighted from a Dubai flight. The Maharashtra ATS brought him to Pune, charged him in an August ’09 arms haul case and produced him for remand. 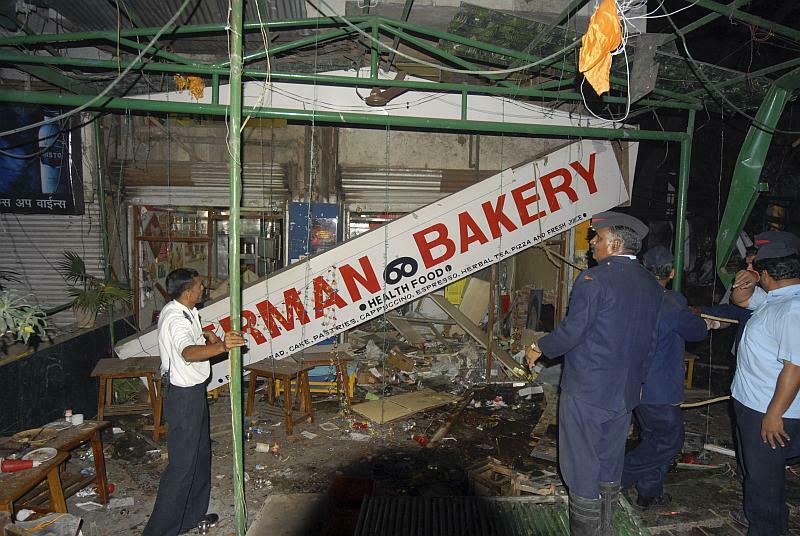 Along the way, a senior ATS officer let it out in Mumbai (and briefed the home ministry too) that Samad was a suspect in the Pune German Bakery blast case. The bomb/s had gone off on the night of February 13 this year, killing 17 people and injuring 50. The story flashed around—the Pune blast suspect was Samad, and he even looked like one of the men in the CCTV grab recovered from the spot. It was said that Samad was actually Abdul Samad Bhatkal, brother of Riyaz Bhatkal, allegedly the mastermind of the Indian Mujahideen. The inference was that the IM had a role in the Pune blast. As it turned out, Samad was charged only in the arms haul case of August 2009 in Mumbai; he was charged with supplying arms to three persons arrested from a south Mumbai hotel that month. As the judge, while giving him bail on June 15, observed, Samad was not even declared as a “wanted accused” in that particular case in the intervening months. On July 4, he was released from Mumbai’s Arthur Road jail. He held a press conference the following day where his lawyer declared that Samad’s last name was not Bhatkal, he only hailed from that village in Karnataka and he had gone to Dubai looking for a job. Professor Hargopal, a long-time supporter of the Telangana movement, feels that while handling issues of social conflict, whether Telangana or the Naxal problem, one has to look at different points of view. “But home minister P. Chidambaram lacks the culture of dialogue. When he made the two conflicting statements on Telangana (one announcing the formation of a new state and the other announcing the formation of a committee to look into it), I do believe he spoke as Union home minister...but many now believe he made them in his individual capacity,” says Hargopal. KCR called off his fast but what Chidambaram did not anticipate was the reaction from the Rayalaseema-Andhra region. Overnight, 135 mlas and 10-12 Congress MPs submitted their resignations. Other parties and even UPA allies like the TMC were sharp in their criticism as the statement ignited the demand for other smaller states like Vidarbha, Gorkhaland and Bundelkhand. After a fortnight of these agitations came another announcement by PC on December 23, this time taking note of the “altered situation”. “A large number of political parties are divided on the issue. There is a need to hold wide-ranging consultations with all political parties and groups in the state.” Telangana groups cried betrayal and violence erupted once again till the Srikrishna Committee was mooted in February and all members appointed in March. MLA and professor K. Nageswar, a Telangana analyst, says the home minister “first mismanaged the situation and allowed it to precipitate into a crisis. Then followed the panic reaction. Ideally, the Srikrishna Committee should have been formed in the beginning itself. But I don’t believe Chidambaram was acting on his own. It was a political decision by the Centre”. The Kashmir Valley has been on the boil since June this year. The stone-pelters are out on the streets and their ire has been directed at the security forces (read CRPF/J&K police). 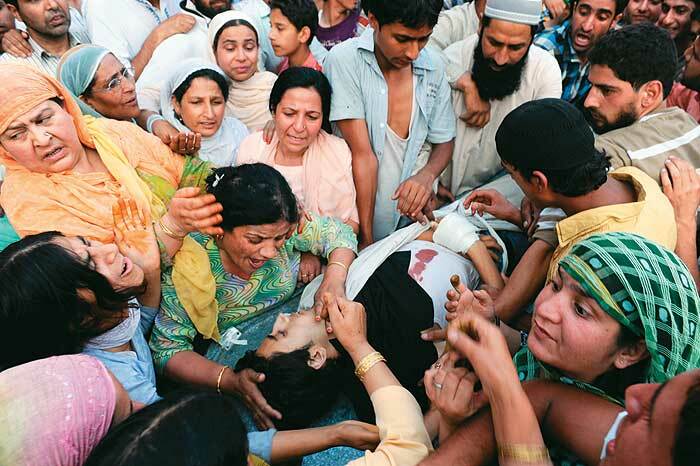 There has been a spate of violence since June 1 when Tufail Ahmad Mattoo died after being hit by a teargas shell. The high-handedness of the CRPF, combined with the anger of the disruptive mobs, have created chaos and brought normal life in the Valley to a standstill. J&K chief minister Omar Abdullah alleges that the Union home ministry and the army top brass have not been “sensitive” to the situation. The impression in the Valley is that the state government is remote-controlled by the home/defence ministries in Delhi. There was also great criticism of home secretary G.K. Pillai announcing details about the curfew in the Valley. Many felt it only proved that New Delhi was pulling all the strings and the state government was only a puppet. Also, it is believed that Omar Abdullah’s controversial move in calling the army into Srinagar (the first time in a decade) would not have happened without clearance from New Delhi. Again, in the Valley they see this as another example of the home ministry running the show and treating Kashmir like a law and order problem. The failure of the Indo-Pak talks has also created great disappointment, directly impacting the mood in the Valley. People want to see movement towards a solution, soft borders, improved relations between India and Pakistan. Instead, there is more and more military and paramilitary presence. Which has not quite worked.